HOUSTON…March 21, 2018 – Holder’s Pest Solutions, a leading pest management company serving the Houston Galveston, Texas, metro areas, today announced it was honored as Copesan’s 2017 Quality Partner of the Year in the medium category. The company is a Partner in the Copesan network, an alliance of premier pest management companies united to provide quality pest solutions to commercial national businesses throughout North America. 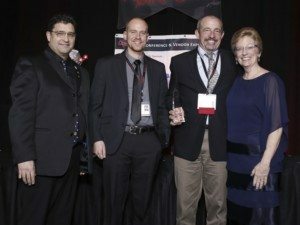 Holder’s Pest Solutions was honored at the Copesan Conference’s annual awards banquet held on February 13, 2018, in Las Vegas, NV. The company showed the highest level of consistent quality in its category of similarly sized companies, including service delivery, net promoter score (NPS), audit and action plan follow-through and adherence to specific client protocols.